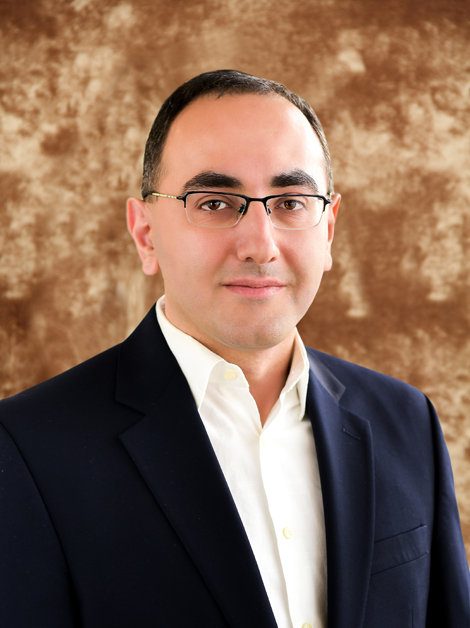 Sarkis is a licensed patent attorney and a licensed litigator. Prior to founding Knyazyan & Partners IP Law Firm Sarkis worked at Arlex International Law Office and the American University of Armenia, as a legal counsel, interned for the United States District Court, Northern District of Illinois, Chicago, IL, served as an Intellectual Property Advisor to the Ministry of Economy of the Republic of Armenia. Sarkis received his Master’s degree in Intellectual Property law from the University of New Hampshire, School of Law (formerly Franklin Pierce Law School) in the United States and completed Haifa University’s WIPO-sponsored program on European Patent Law in Israel. He also completed the Licensing Academy Program on IP and Technology Transfer, organized and implemented by the University of California, Davis School of Law and PIPRA (www.pipra.org). Sarkis is a Member of the Armenian Observatory on Counterfeiting and Piracy, and Chairman of the Board of Trustees of the Intellectual Property Rights Center of Armenia (www.ipr-center.org/board), an Armenian non-governmental, non-profit organization. He currently teaches IP Law at the American University of Armenia (http://law.aua.am/faculty/) and the French University in Armenia, School of Law. Trademarks, Unfair Competition, Trade Names, Geographical Indications, Designation of Origins, Patents, Industrial Designs, Utility Models, Copyright & Related Rights, Trade Secrets, Topographies of Integrated Circuits. Ms. Nersisyan is one of the leading specialists in the field of copyright and related rights in Armenia. She has over thirty years of working experience and provided legal consultation to hundreds of artists, writers, musicians, broadcasters, singers, performers, producers, librarians, composers, as well as various museums and state authorities. 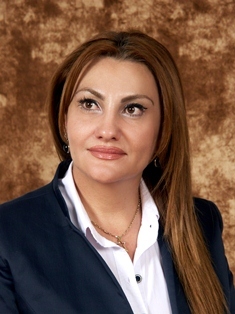 Ms. Nersisyan worked for the Armenian Branch of the “All-Union Copyright Agency” for seventeen years, as a chief legal counsel and for the “Armenian National Copyright Agency”, for eight years, as a deputy director. She has actively participated in the works of approximation of the Armenian Copyright and Related Rights legislation to the International best practices and to the provisions of the Bern Convention. 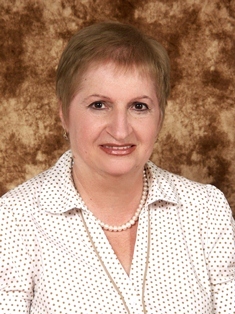 Ms. Nersisyan has authored a number of articles and publications on copyright and related rights. Ms. Nersisyan completed a research project in Intellectual Property law at Max Planck Institute for Intellectual Property and Competition Law. Ms. Nersisyan currently holds the position of a director of the Amauthor NGO (www.armauthor.am), the Armenian author’s collecting society, is a member of the Armenian Observatory on Counterfeiting and Piracy. Liana is a licensed litigator with more than fifteen years of litigation experience. Liana actively practices and represents the interests of companies and individual clients before general jurisdiction and administrative courts of all instances, as well as before state and administrative bodies. Liana has a proven track record of protecting as well as advancing clients’ interests and appropriately managing their risks so that they can achieve the maximum possible advantage. Liana enjoys thinking through complex issues, complemented with the aptitude to identify key problems and implement practical resolutions. Liana received her Master’s Degree in Law from USEL University, Yerevan, Armenia. Mr. Papanyan is our foreign associate at Hickman Palermo Becker Bingham LLP based in Silicon Valley, who concentrates his practice on patent prosecution. He has drafted and prosecuted numerous U.S. and international patent applications in large spectrum of computer-related technologies. As part of the practice, Mr. Papanyan regularly provides portfolio development advice to the firm’s highly diverse clientele that includes many of the household name Silicon Valley companies. Before entering the practice, Mr. Papanyan worked over a decade on cutting edge technologies for servers at Dell Inc. He was a member of advanced engineering team at the office of CTO and a member of the patent committee specializing in review of software applications at Dell. An avid inventor himself, Mr. Papanyan was granted numerous patents for inventions in wide range of software technologies. Mr. Papanyan was also a leader in standards related to systems management software. He was Dell’s primary representative on the Technical Committee of the Distributed Management Task Force (DMTF) standards body, and chaired the security related working group there for many years. He also authored and contributed to numerous standard specifications widely used in the industry. Hripsime is a licensed litigator, she assists senior associates with all matters related to copyright, trademarks and unfair competition. She drafts and files trademark applications, conducts legal research, prepares legal opinions, complaints, appeals and various other documents. Prior to joining Knyazyan & Partners, Hripsime interned for the Administrative Court of Armenia, "Freedom of Information" NGO, “ArmenTel’’ CJSC and “K-Telecom’’ CJSC. In 2015, she participated in the Annual Intellectual Property Moot Court Competition organized by the Intellectual Property Rights Center of Armenia (www.ipr-center.org), where she was a member of the finalist team and her oral arguments were recognized as the best in the National Round. Susanna is a licensed (registered) Trademark Agent with a significant experience in drafting and filing trademark applications, responding to office actions, filing declarations and disclaimers, trademark renewal affidavits. Susanna conducts local and international trademark searches and arranges legalization of documents for foreign filings, prepares data for and assisted in the prosecution or defense of local and foreign oppositions and cancellations, prepares statements of extensions of time, instruction letters to foreign agents, and, drafts reporting letters to clients. Susanna maintains the trademark portfolio utilizing the law firm’s special docketing program and assists with trademark watching and reporting. Susanna received her Master’s Degree from Yerevan Gladzor University, Yerevan, Armenia. Rima joined our firm in 2019 and provides corporate practice area support, including handling of routine corporate matters. In particular, she assists us with writing letters; organizing diaries; scheduling meetings and responding to telephone queries. She also proofreads documents for sense, grammar, consistency, cross-references, definitions, formatting, facts and typos; maintains closing files, assists with transaction closings and compiles closing sets; organizes and manages electronic and paper files, inputs data; ensures that all files are maintained within approved protocols and case management systems; maintains integrity of client files; conducts due diligence non-legal research using various research tools; writes articles for internal or external circulation; writes reports; assists other legal assistants and attorneys, as well as performs other related duties as assigned.